Our goal is to connect people with the best local experts. We scored wedding photographers on more than 25 variables across five categories, and analysed the results to give you a hand-picked list of the best wedding photographers in Green Bay, WI. Adam LeSage Photography offers wedding photo services in the Green Bay area. The photographer refined and elevated his work after losing his mother and realizing how important the little things are and today focuses on creating images that allow couples to relive their very special day. The studio is available to travel for weddings as well, and a portion of each job is donated to either Charity: Water or Mercy Ships. Adam Shea Photography has been serving the Neenah community with wedding photography for almost 10 years. Clients hire the group for vibrant photos without the use of unnatural filters, and the photographer has an Associate’s Degree in Printing and Publishing and worked in printing prior to photography. Destination wedding coverage is available, and Adam Shea has been seen on Preppy Wedding Style and WFRV Channel 5. Alison Kundratic Photography has been shooting weddings in Shawano since 2009. The photographer uses a documentary approach, focuses on capturing special moments, and prefers to meet in person to discuss wedding details. Alison Kundratic previously worked as a staff photographer and photo technician at a newspaper, and her wedding work has been seen in Wisconsin Bride, The Knot, and Be Minked. Engagement sessions and boudoir photography are also available. Captivating Images by Becky LLC is a wedding photographer in Green Bay. She offers an eight-hour wedding package and lifestyle sessions are also available. Capture Life Moments Photography shoots weddings in Neenah. 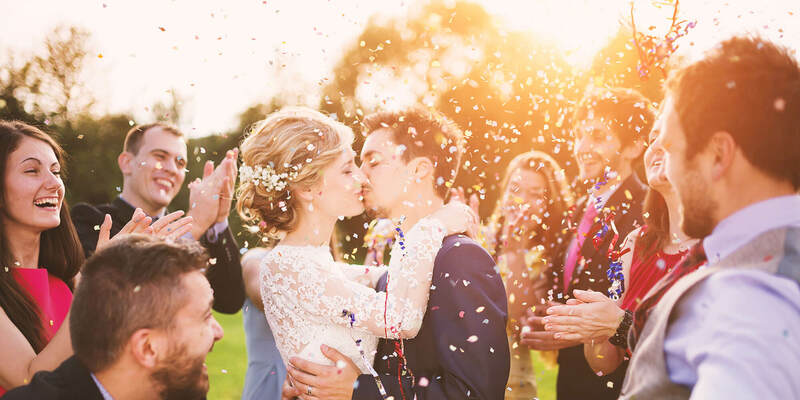 The studio offers local wedding collections as well as destination and out-of-state packages which include all costs for travel and accommodations. The photographer served in the Army National Guard for over 12 years and has since dedicated herself to telling people's stories. The group's work has been seen on BridalGuide, WeddingWire, and Wisconsin Bride and won a 2015 and 2016 Pick for The Knot Best of Weddings. Boudoir and maternity sessions are also available. Carbon Copy Studios is a Green Bay wedding photo studio. The photographer comes from a background of music and graphic design and uses natural light and film when working. Carbon Copy's work has been described as organic, real, and authentic, and the studio seeks to deliver images of fine art showing couples in love on their wedding day. Clients can request photo coverage of traditional as well as multicultural weddings. Casi Lea Photography is a Pulaski wedding photography studio. Couples seek out the team's work for its sentimental and fun style resulting in breathtaking heirloom prints, and clients can build their own package with plenty of options depending on their needs and desires. The Nostalgia and Heirloom Box options are handcrafted and include little keepsakes. Casi Lea has been featured on Savvy Deets Bridal, A Northwoods Wedding, and Done Brilliantly, and clients can also request creative portraiture and equine photography. Cloud Seven Photography offers wedding day photos to couples in De Pere. Clients hire the group for authentic photos taken in a photojournalistic style, and the husband-wife team has dozens of awards between them for photography, design, writing, and journalism including from the Wisconsin Newspaper Association. The studio was a 2014 and 2016 Pick for The Knot Best of Weddings and won a WeddingWire Couples' Choice Award in 2015 and 2016. Danae Herrmann Photography is a wedding photo studio serving the Appleton area. The group's work covers wedding days and focuses on small details, genuine images, and storytelling. Clients can request destination wedding services, and each collection includes an engagement session and two wedding day photographers. Boutique greeting cards, save the dates, and guest books as well as leather albums, canvases and gallery wraps are also available. Danae Herrmann shoots senior portraits as well. Distinction Photo offers wedding photos to couples in the Green Bay area. The team collaborates closely with clients to create a unique and fun experience and is known for presenting heirloom quality artwork. The group shoots only a limited number of weddings each year, can travel, and is insured. Couples can opt for rehearsal coverage as well, and partial-day sessions are not available on weekends. Distinction photographs engagements and specializes in senior portraits as well. Erika Krause Photography shoots weddings for couples in Pulaski. Couples can either pick one of the packages offered online or discuss a custom package tailored to their needs and budget. Engagement sessions are for a separate fee, and a digital-only option simply provides all wedding photos on a custom USB drive. The owner has a degree from the University of Wisconsin Oshkosh in Fine Art Photography and also offers maternity, senior portrait, family, child, and newborn sessions. James Darmawan Photography shoots weddings in the Green Bay area. Couples can select from various wedding and engagement options as well as à la carte services, and additional add-ons include photo booth, a custom wood USB drive and box, albums, and boutique packaging. James Darmawan also offers sports, real estate, and commercial photography as well as senior portraits, newborn, and family sessions. Kasey & Ben PMPS Photography LLC photographs weddings in Green Bay. The group considers itself a boutique photographer and aims to create high quality artwork via close relationships with its clients. All packages include two photographers, image editing, an online gallery to share with friends and family, and a flash drive in a wooden collector's box. A Mini Package is available for elopements, renewals, and smaller weddings, and the studio also offers Mentoring Sessions for photography. Klem Studios photographs weddings in Green Bay. The team creates vibrant, artistic, and honest images that preserve moments from their special day for brides and grooms. All wedding packages include an engagement session, and prints, albums, and wall art from the chosen images are available. The photographer aims to help the bride's day go as smoothly as possible and offers a list of other wedding day vendors online. Clients also have access to boudoir sessions as well as family photography. Lealiou Photography is a Green Bay wedding photography company. The group aims to offer affordable services and will match or beat competitors' advertised price. Lealiou Entertainment caters to weddings as well as other events with photography, DJ services, and photo booths. All packages come with professional audio, LED DJ lighting, fog machines, projector and 100 inch screen, wireless mics, music videos, and karaoke. Lealiou also provides wedding rentals. Magdalene Photography is a Coleman wedding photographer. The studio has a reputation for going the extra mile to get those perfect shots so that couples can remember the important moments from their big day. Clients can request winter wedding services as well as destination weddings, and the photographer does not charge extra for travel. Magdalene also gives back to the community via its "pay it forward" sessions for families impacted by cancer and other illness. Paul D Manke Photography has been a Green Bay wedding photo studio for over 15 years. The photographer seeks to rise to new challenges, have fun, and be creative and typically gets to know clients over a coffee or Rite Place burger. The team is familiar with various cultural and religious backgrounds as well as traditions and collaborates with other vendors on the wedding day for a smooth process. All packages include a free engagement session, and Paul D Manke also offers senior portraits and photography classes. Rebecca Sanford Photography is a wedding photographer in Sobieski. Couples can choose from the Everything I Need package, Everything I Want, and Everything My heart Desires, and Trash the Dress sessions are also available. Rebecca Sanford is known for being adventurous and dedicated to getting the perfect shot to create lasting memories. The studio also specializes in senior portraits. Shaunae Teske Photography is a Green Bay wedding photographer. The studio's purpose is to tell and share stories of love, and the photographer only takes clients with whom she feels her services and approach fit best. Couples receive their memories in a custom made wooden Heirloom Box with a choice of three stains and their names engraved on the lid. Shaunae Teske won a 2015 and 2016 Pick for The Knot Best of Weddings, is a 2016 Vendor for Wedding Chicks, and won a WeddingWire Couples' Choice Award in 2015 and 2016. Together Wedding Photography & Video has been providing wedding photos to Hortonville brides and grooms for almost 40 years. Couples can build their own package online and view what Basic services as well as Basic Plus and Recession Special packages include. Graphic designed wedding albums and parent albums are also available. The group started out as a husband and wife team and is continued today by the wife after losing her teacher and partner back in 1999.